When you’re out and about and craving something sweet, what do you go for? A muffin, a Kit Kat, a doughnut? These are all exceptional choices but for me, I’m the original Cookie Monster. 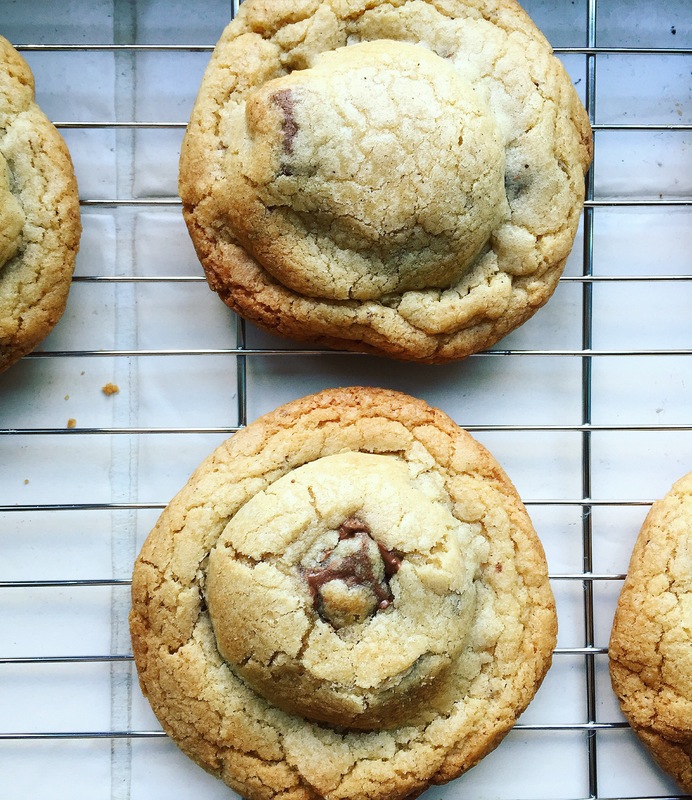 Due to my very obvious obsession it took me a long time to stick to a Cookie Dough recipe. 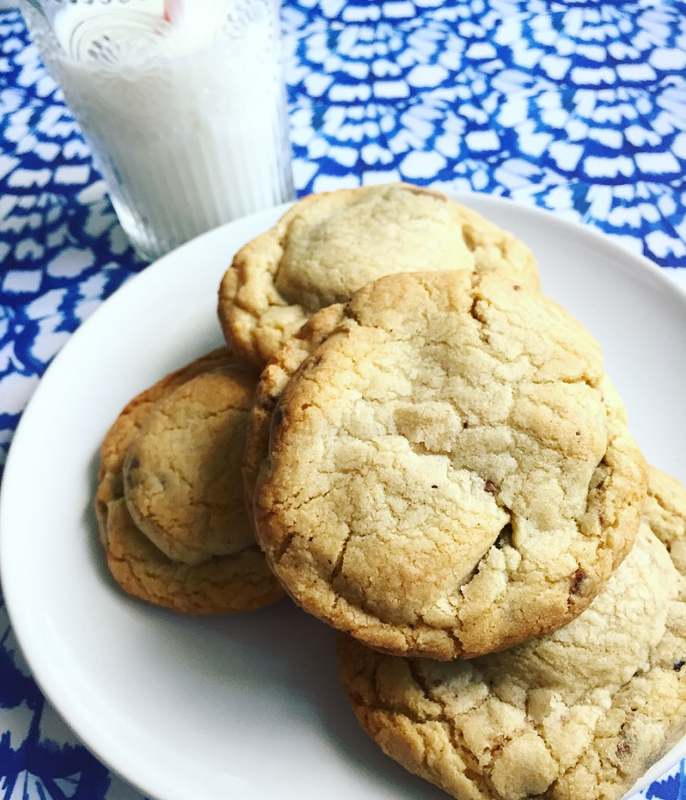 I made my way through a lot of dough (the financial and confectionery kind) until I found the perfect one so I’d like to think you can trust me when I say this is the recipe for you! Below is the basic recipe you will need. Once you’re happy with it, you can pimp it up how you like. I have previously taken my cookies out of the oven and then added a small Kinder Egg bar to the top to impress kids at parties. For the adults, I have added 100g of chopped Hazelnuts to the dough and then pressed a Forrero Rocher in the middle once they’re hot out of the oven (see my Instagram feed for details) and in the above, I have sandwiched a Peanut Butter Oreo into each ball of cookie dough. Quantity: The large dough will makes around 20 medium sized biscuits. You can always freeze/refrigerate any leftover cookie dough when rolled up into a long sausage shape and tightly wrapped in cling film. 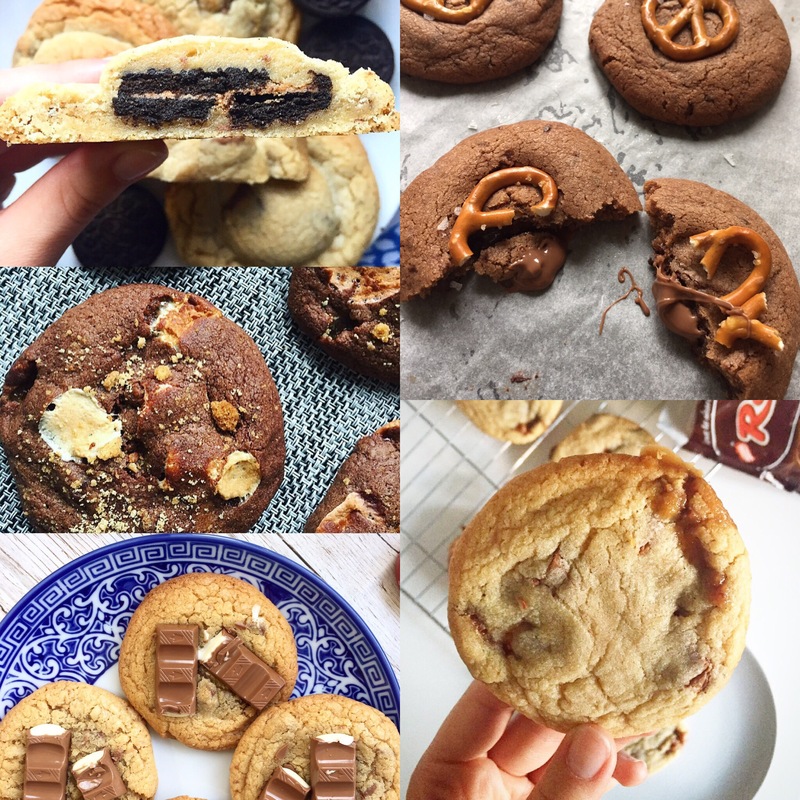 Keep a look out for my other tasty Cookie Dough recipes: Peanut Butter Oreo stuffed, S’Mores, Vice Versa, Creme Egg, Chocolate Orange and Salt Caramel Pretzel.